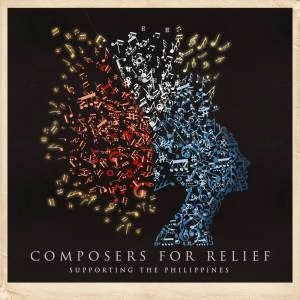 This is my contribution to Composers For Relief, which will be supporting the Philippines. It was written to the song Hope by Debbie Teong. Faith struggled down the street, pulling the overloaded wagon behind her. The car had failed the week before, dying in the middle of Main St. and blocking traffic, much to her chagrin. You would have thought that one of the motorists blaring their horns would have done something to help, but that didn’t seem to be human nature anymore. People didn’t trust anyone they didn’t know, and sometimes not even the ones they did. Eventually though someone did step forward to help her push the car out of the way. Now though she was left without a car and a load of laundry to do. She really did miss the old beast, especially with all the snow on the ground. “I don’t know,” she answered and then checked to make sure her son’s hat was pulled tightly across his ears. Randy was prone to ear infections and with things the way they were, she couldn’t afford a doctors bill. Randy didn’t say anything for a while. They were a block from the laundry mat when he finally asked the question she had been waiting for. “When is daddy coming home?” He asked the question at least once every day. Her answer remained the same as it did yesterday. Opening the door to the laundry mat, she blinked back her tears, praying that God would either forgive her the lie, or through some miracle, make her words true. She didn’t know how she would ever be able to tell Randy that his father was dead. The letter had arrived just after Thanksgiving. “We regret to inform you…” She’d read it, unbelieving. It didn’t seem real, he wasn’t even military, just a civilian consultant. He was only supposed to be there a week. That didn’t matter, bombs didn’t recognize the difference. But in her heart… Faith just couldn’t bring herself to accept that David was gone. While Randy dozed, his head leaning against her shoulder, she watched the clothes tumble in the dryer and remembered the day just a few short years ago that she had met David. She was out with friends and he had asked her to dance. His arms around her had felt right and she knew then she would spend her life with him. Six months later they were married. Two months after that, she was pregnant. Everything was going well… until David’s company went under. This latest trip was supposed to be the beginning of a new life and the end to their worries. She’d been overjoyed when he’d told her, even though she didn’t relish his leaving them, even for a week. Now she wished she’d told him to stay. The dryer slowed and stopped. Faith gently moved Randy’s head and then proceeded to fold the clothes back into the baskets. “Maybe he’ll be home for Christmas,” Randy said. They were almost home and the snow was starting to come down. Faith had covered the wagon with plastic bags and was crossing her fingers that the heavy wagon wouldn’t tip over into the snow. “That’s tomorrow,” Randy reminded her. “Yes, I know,” she chuckled. “It doesn’t always work that way,” Faith said, cautiously. Faith stopped walking and turned to face her son. She had Faithd to avoid this conversation. Breaking her son’s heart on Christmas Eve wasn’t something she wanted to do, but it would be so much worse if he woke in the morning and David wasn’t there. “Can it wait until we get home?” Randy shivered and glanced down the street. “Yes,” Faith said, relieved to put it off for a few more minutes. She started to move, but then stopped again. Something in Randy’s eyes… she turned to see what he was staring at. They had just turned the corner and their house was in sight. There was a figure standing on the porch. Faith’s knees buckled and she nearly fell sideways into the snow. It was David. Letting go of the wagon, she picked Randy up in her arms and ran for home. Lovely emotions running through this Lisa, beautiful! Lovely, heartwarming tale! You played the emotions well. Wonderful Christmas story. Never lose hope - a beautiful message! A really well crafted, heart warming tale Lisa, good work! All's well that end's well. I think I'm plagiarizing here. Ah, perfect example of "Hope springs eternal in the human breast..."
I was hoping it was a mistake! Great ending!